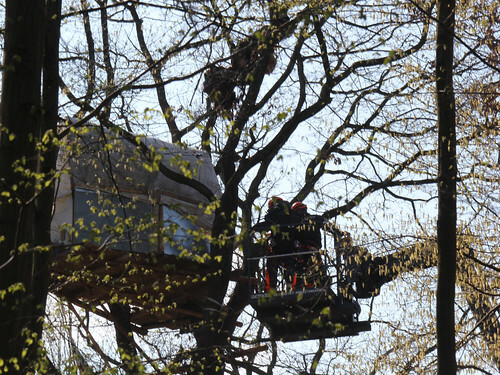 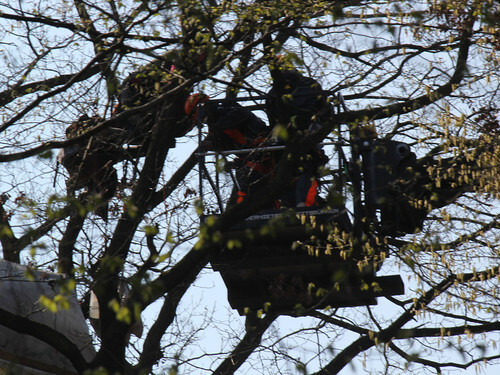 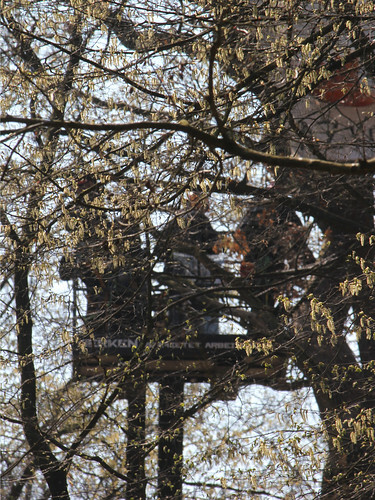 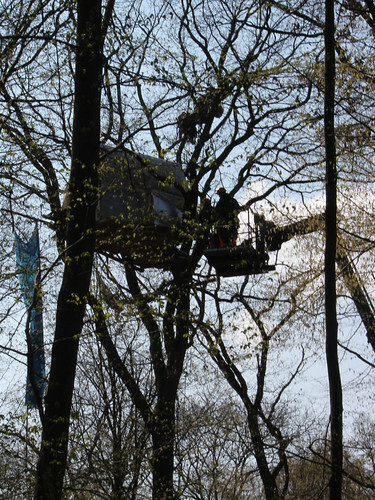 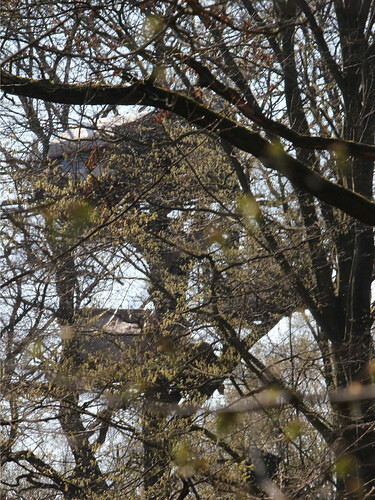 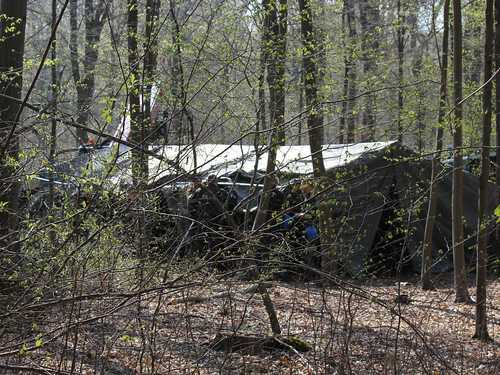 The Hambach Forest Occupation is EVICTED right now! 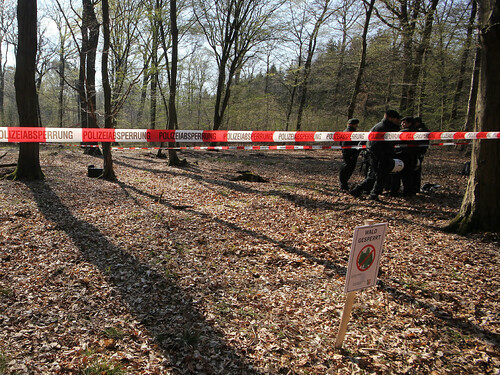 This is where it is going to start! 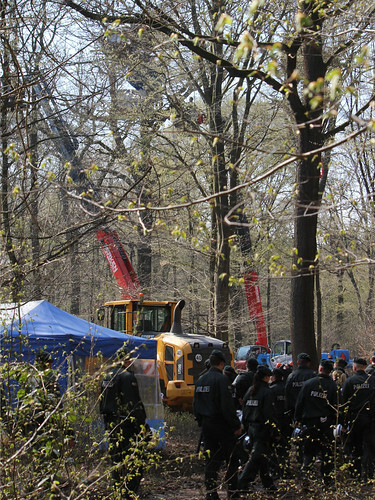 Several hundred police arrived this morning, surrounding and shutting down the forest occupation from the eyes of anyone who would like to witness what is actually going on. 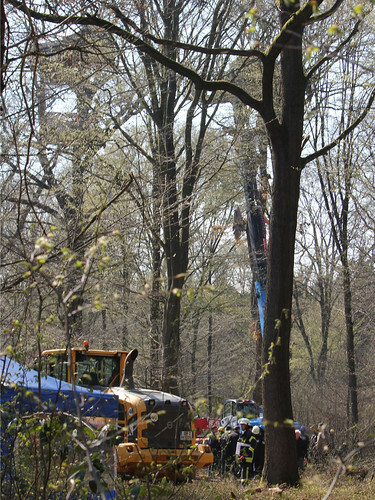 Infrastructure, Treehouses, trees, hedges, all getting torn apart piece by piece. 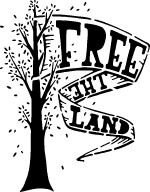 Everything is destroyed by loud, obnoxious machinery orchestrated by megalomaniacs, operated by ignorant people who in the end have nothing to claim for themselves but clinging on to their job. 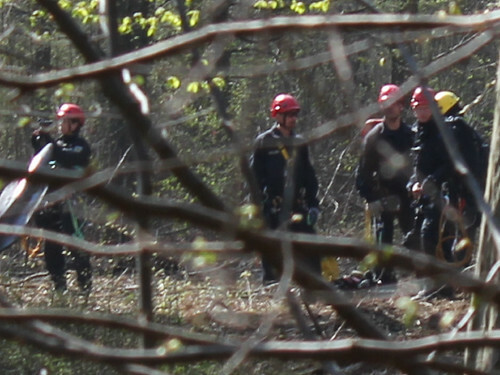 People getting dragged away, getting brutalized, getting violated. 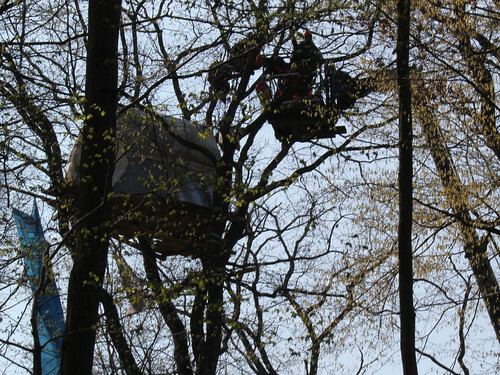 The police began this morning the eviction of forest occupation! 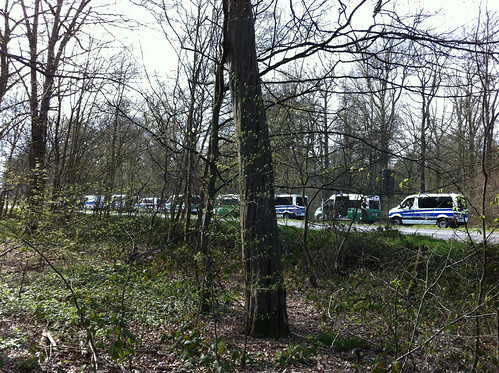 Police commitment on meadow and occupied forest! 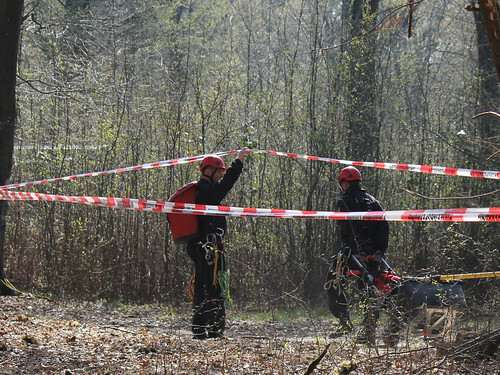 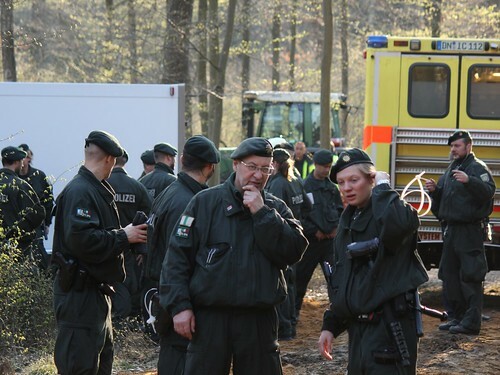 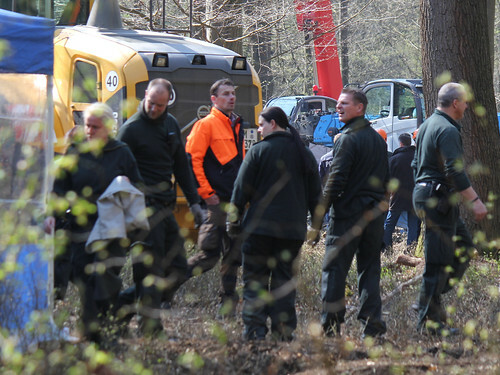 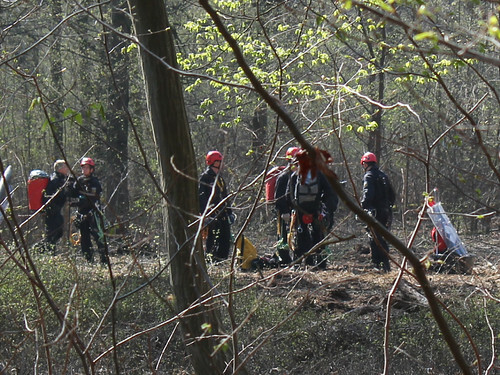 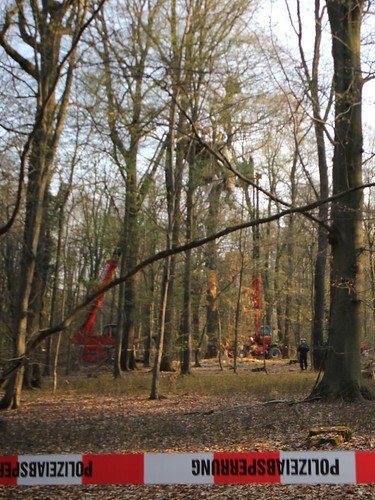 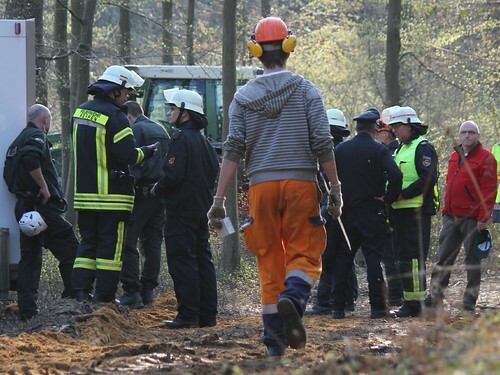 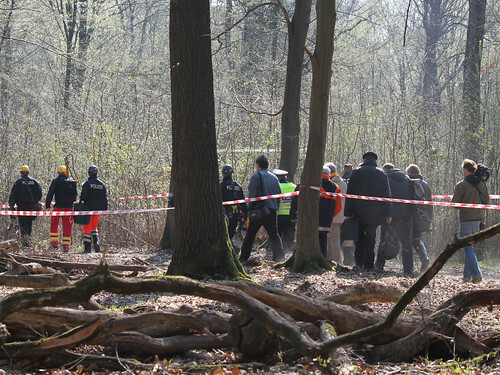 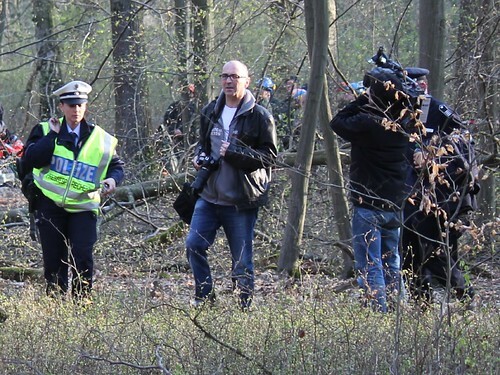 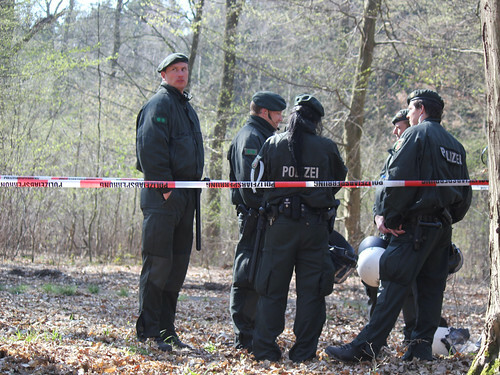 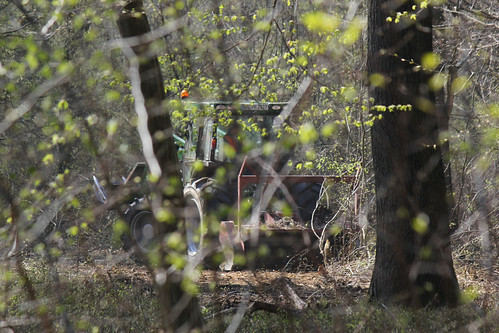 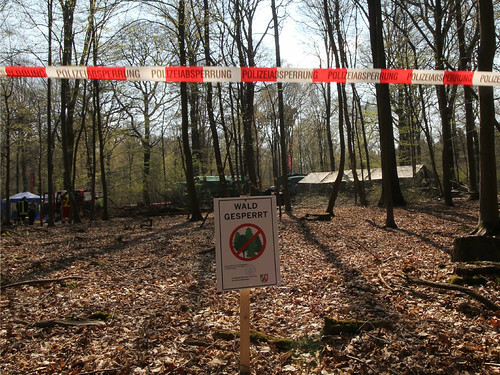 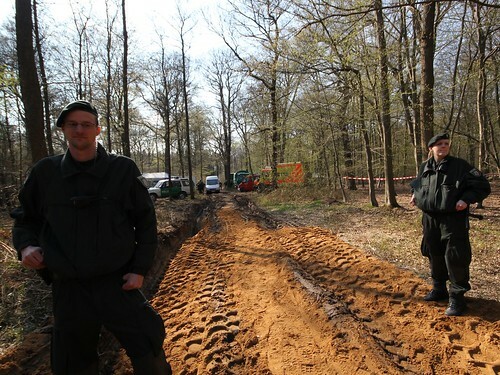 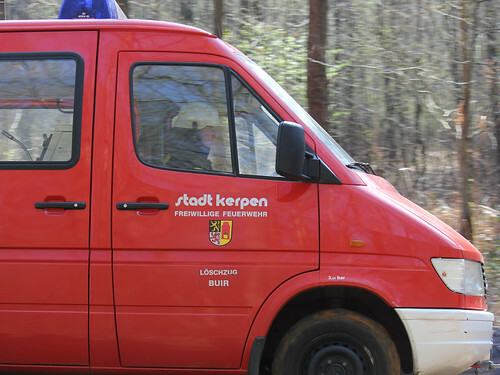 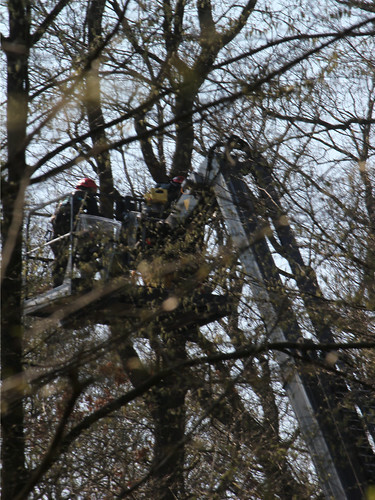 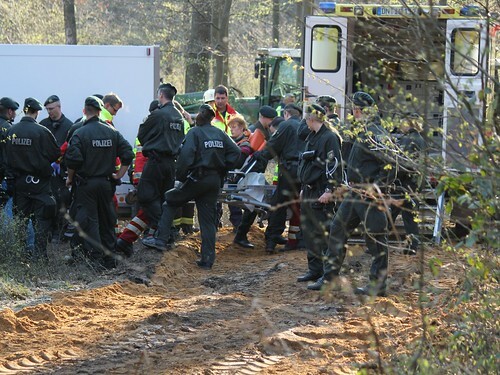 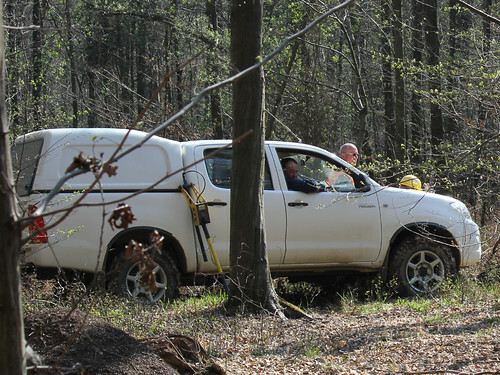 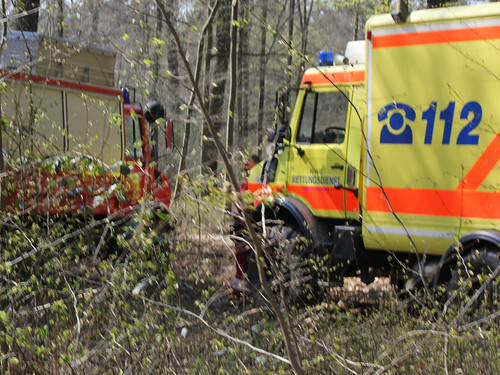 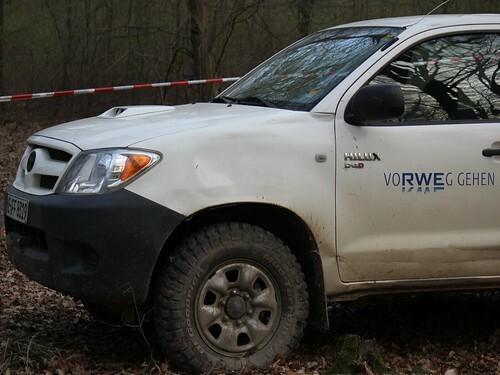 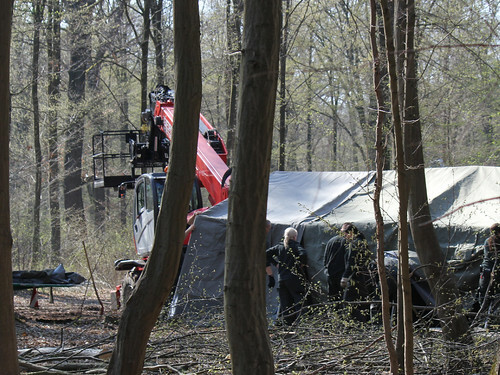 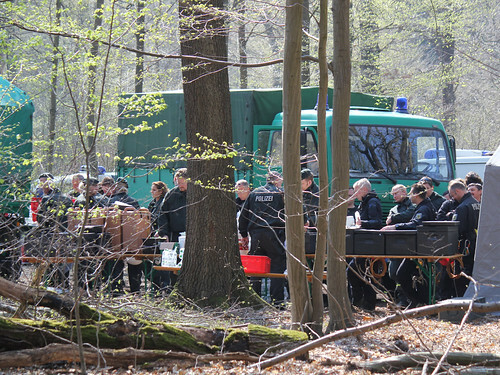 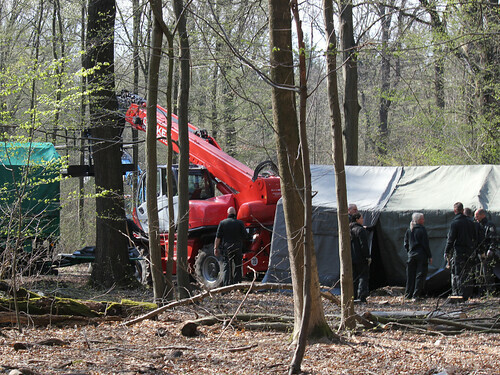 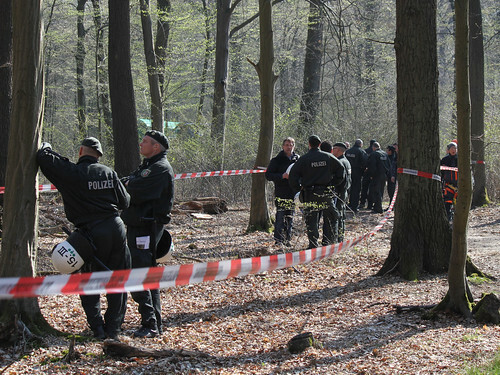 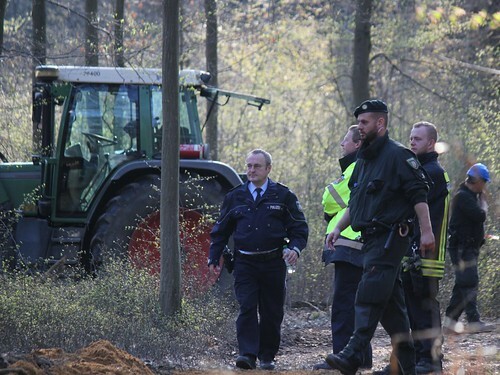 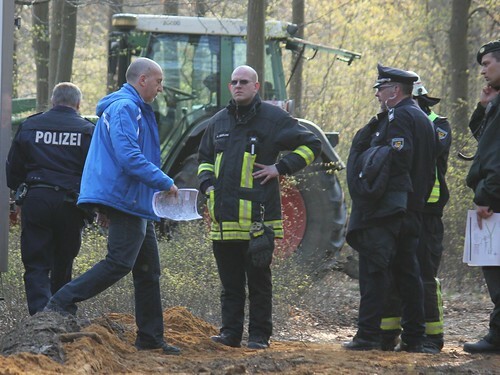 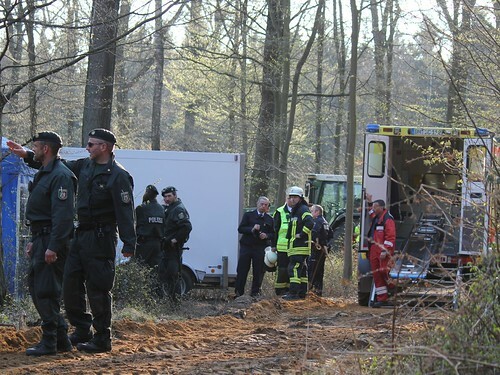 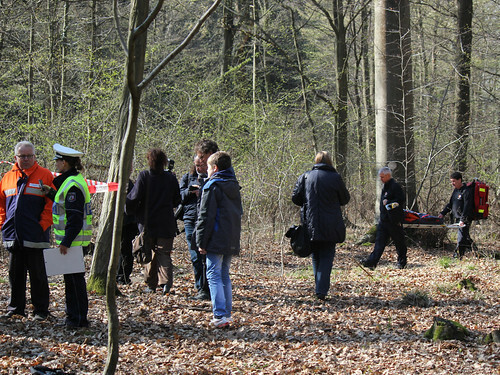 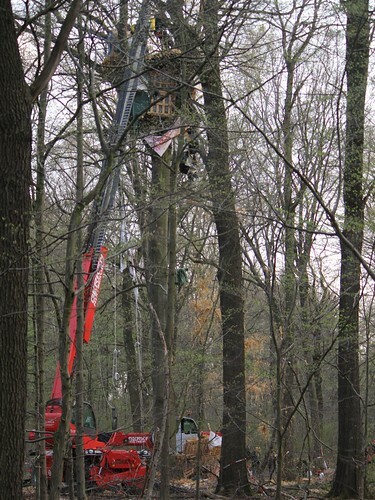 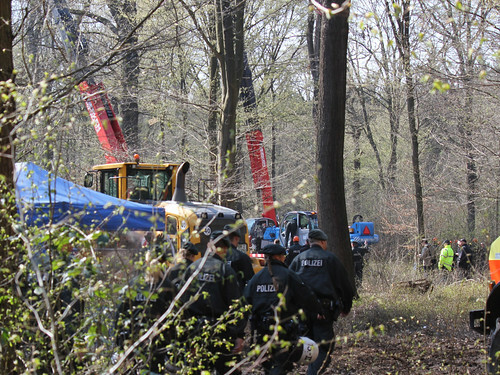 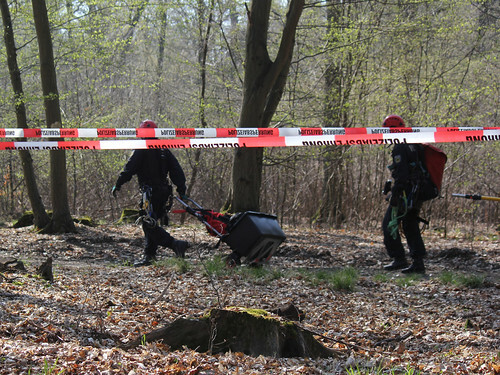 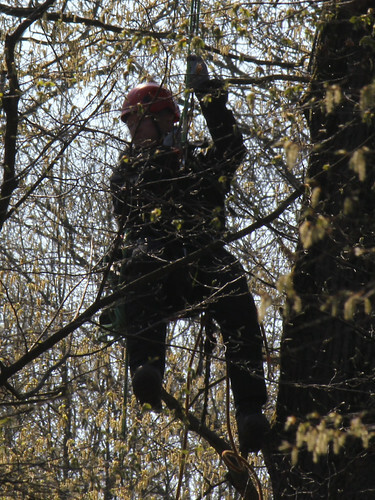 This morning, 20th of march at 7am, 200 cops stormed the occupied meadow close to the occupied Hambach Forest to search for verifications for actions which reportedly happend during the last year. 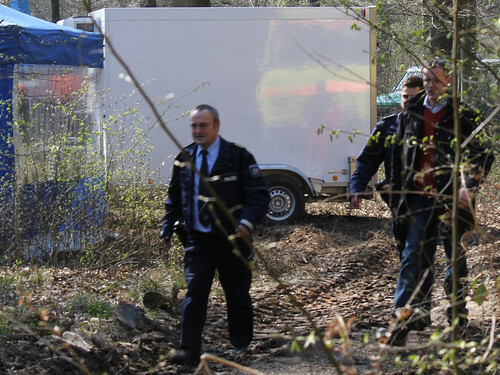 They took all the Laptops, Mobilephones, Memory cards, private documents (like passport, different kind of cards, letters,…). 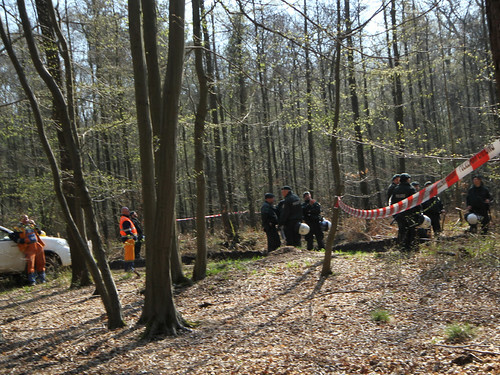 There were just 5 people on site, they checked their identitys. 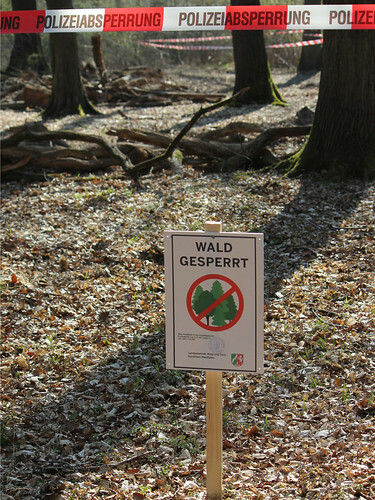 So rigth now there is no meadow- or forestphone you can call! 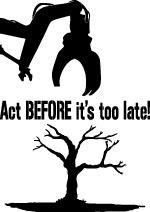 Replacements will become active soon. 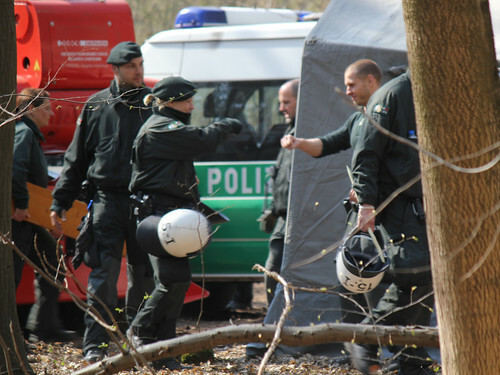 Police neglected to call a lawyer during the operation and as they imediately took all cell phones etc. 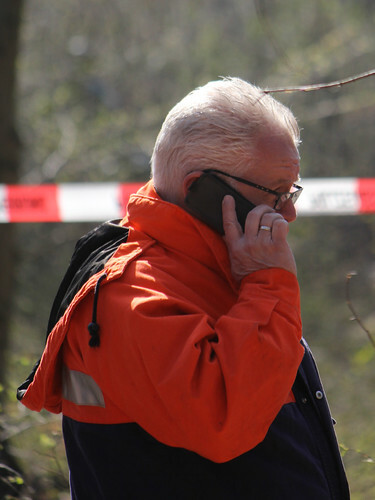 there was no communication possible for hours. 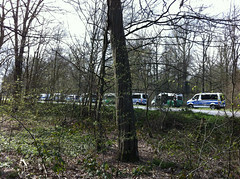 The first supporters recognized what was happening and came close to the ocupation at around 10 am. 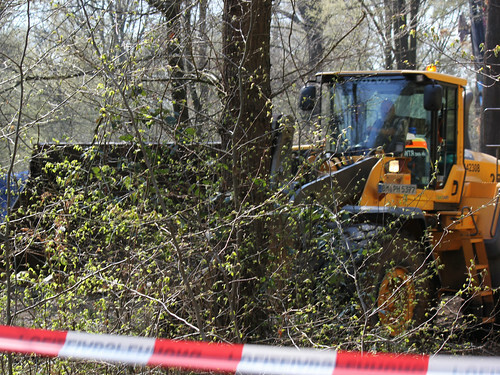 At 12am they finnished the chaos. 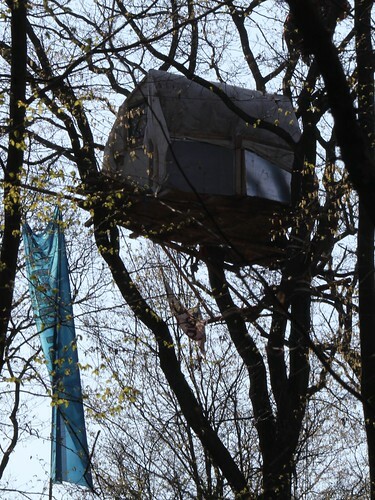 During some of them were busy on the meadow, a big police unity went to the treehouses with chainsaws. 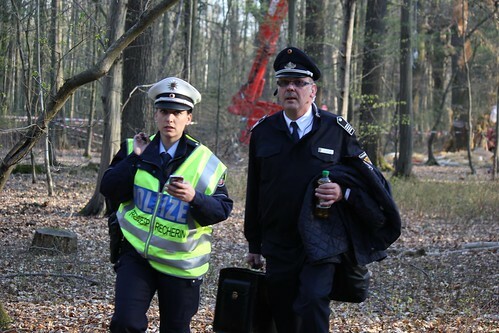 They (again!) 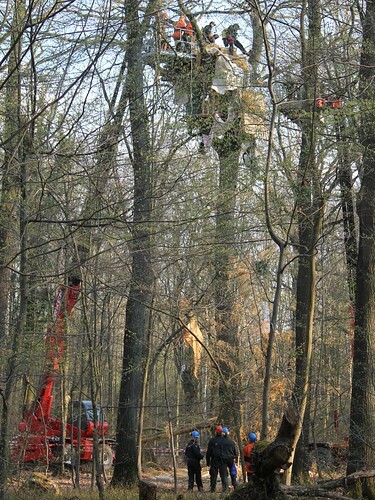 cutted all the robes which weren’t pulled up (which is a danger of life!) 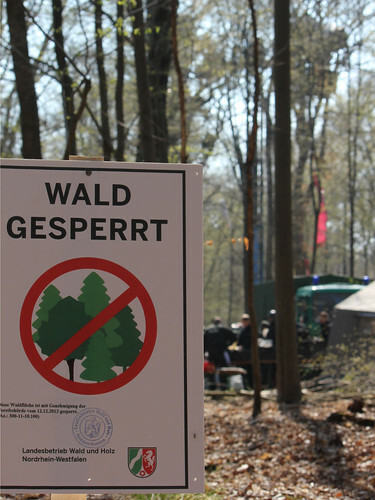 and left then. 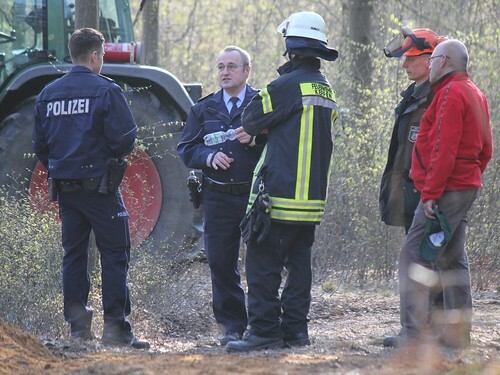 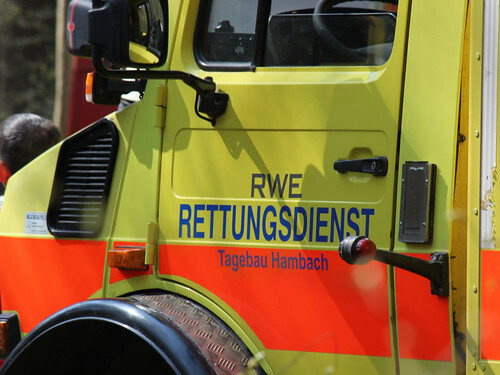 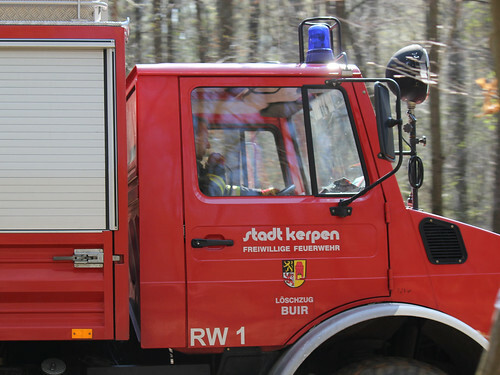 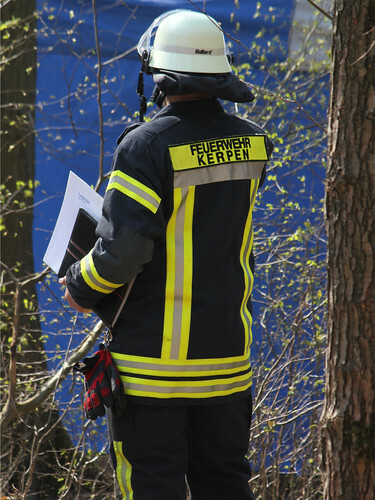 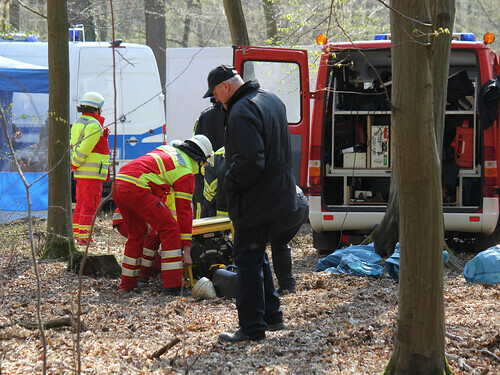 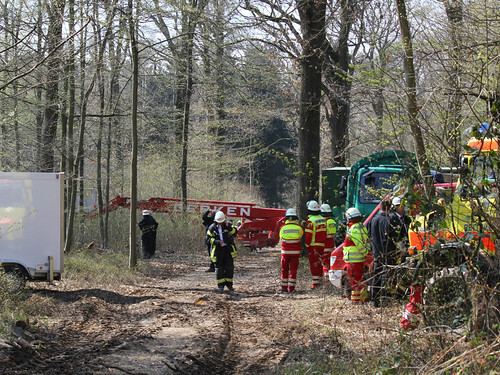 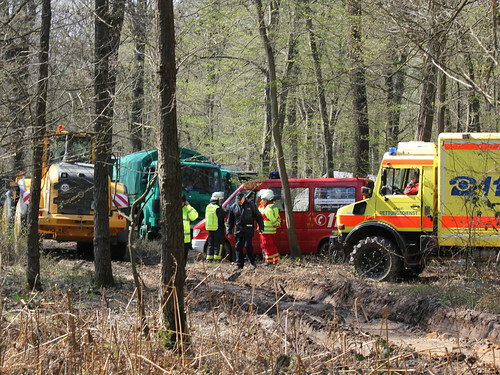 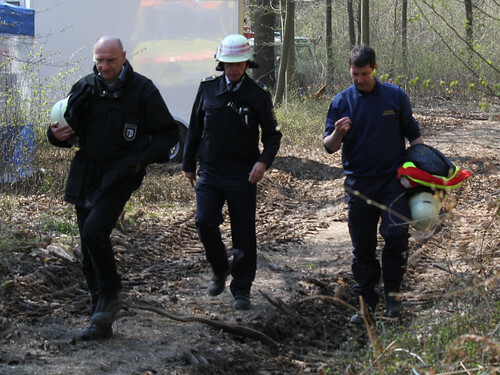 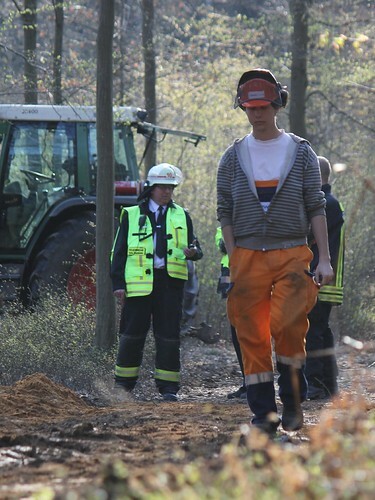 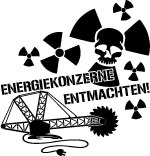 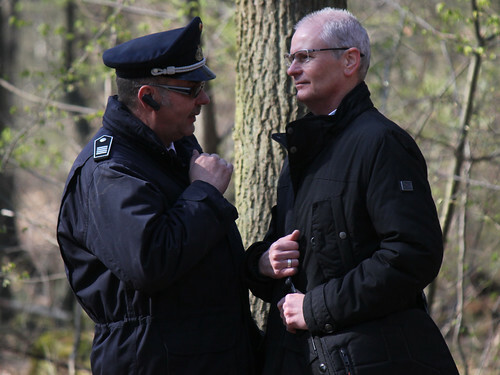 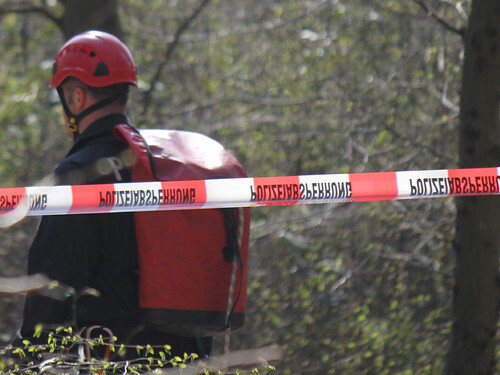 As a reason for this police operation they refered on elucidation of punishable acts which were commited since april 2013 in the surrounding of the coal mine Hambach which is absurd. 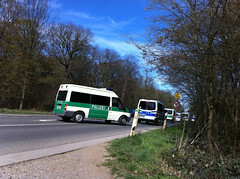 As well you could search all houses of a city district refering on all criminal acts of the whole city during one year. 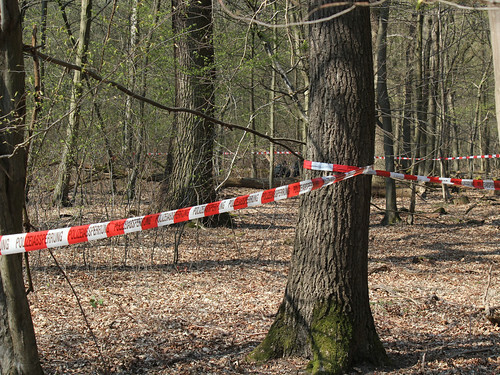 It is not about eluciadation of punishable acts. 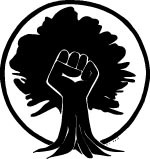 It is about harassment of people who afford courage and time for legitimate protest against the destruction of climate and earth. 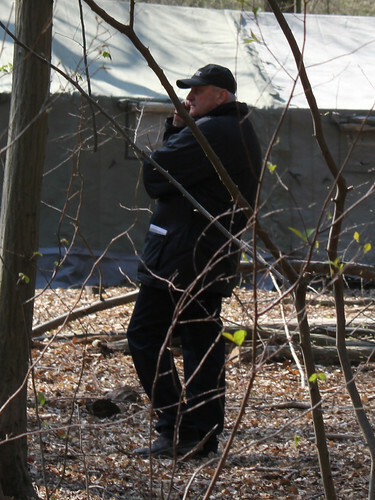 There’re still very less people over there! 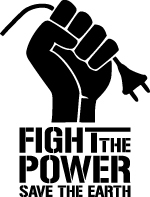 Show Solidarity! 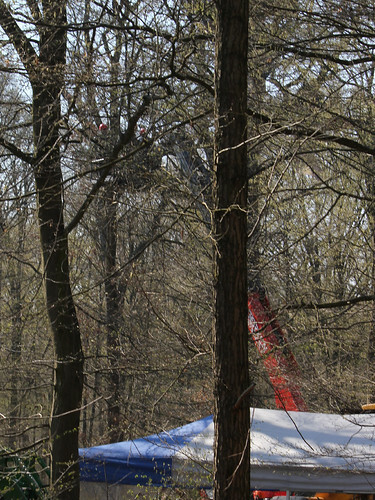 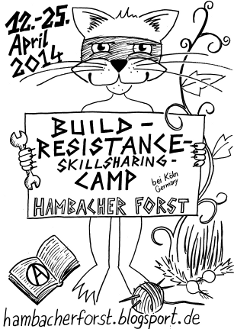 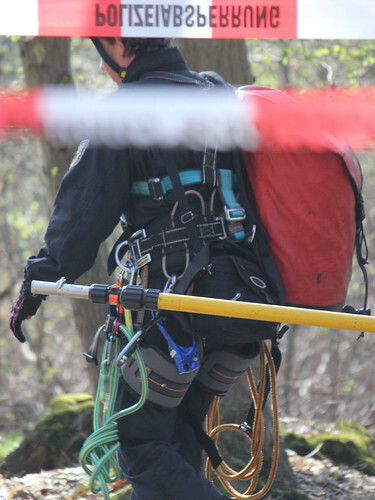 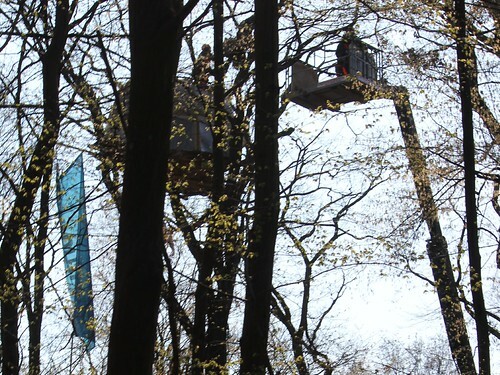 Organize actions like spontaneously demonstrations, banner drops, information events,… let the people know whats going on in the Hambach Forest! 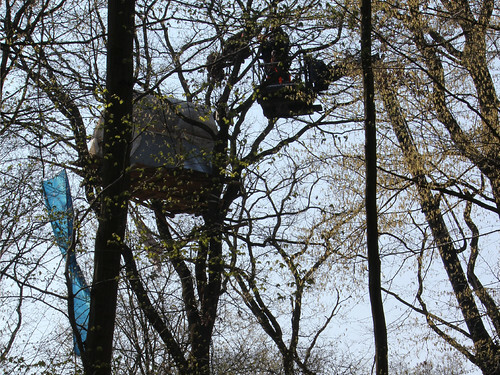 Rebellious regards from meadow and forest!